It’s practically a national holiday – over 1.23 billion chicken wings will be eaten, 5 million people are projected to buy new televisions in anticipation and fans are expected to spend $11 billion on Super Bowl-related purchases (including paying for those chicken wings!). Hosted at Lucas Oil Stadium in Indianapolis, Indiana, the game will be streamed live online for the first time in the history of the world. As you plan your watch party, order ridiculous amounts of chicken wings, pizza and beer, and set the mood for Super Bowl Sunday, here are five free Super Bowl apps that will keep you hooked into all the adrenaline-provoked action. Official SB XLVII Guide: Targeted towards those who will grace the game with their presence (lucky you! ), the app is designed to be the hub of the Super Bowl. From a local guide to restaurants to live updates sent to your phone, you’re guaranteed a front row seat (even if it’s a virtual one). 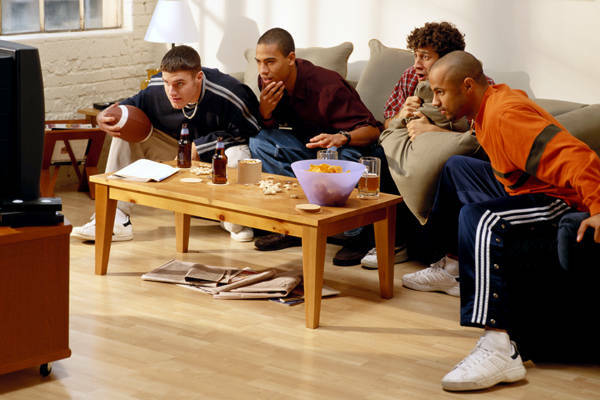 ESPN Radio: Working or otherwise occupied during the game? Download the ESPN radio app for live play by play of every history-making move. Warning: don’t listen and drive, or at the least pull over to do a happy dance when your team gets a touchdown. NFL Mobile: Stream the game live from your phone and get access to behind the scenes footage. Keep an eye on those data limits though – even your team’s victory may not heal the shock of your next phone bill. Foodie Recipes: 40 recipes at the tip of your fingers – literally. With saliva-inducing photos and step-by-step prep instructions, any novice can satisfy the entranced fans on Sunday. Baked pizza dip anyone? Baltimore Ravens or 49ers? Both teams have their own mobile apps to provide the ultimate fan experience: interviews with the players, live camera angles, Twitter integration, and live game analysis. A Super Bowl can typically bring about $150 million to the host city’s economy. Besides representing your favorite team by purchasing something not only made in america but also by having your iPhone 4 or iPhone 4S match your favorite sports team colors with a protective water-resistant case from a company that was featured three times in December on ABC World News with Diane Sawyer’s and David Muir’s Made in America segment. 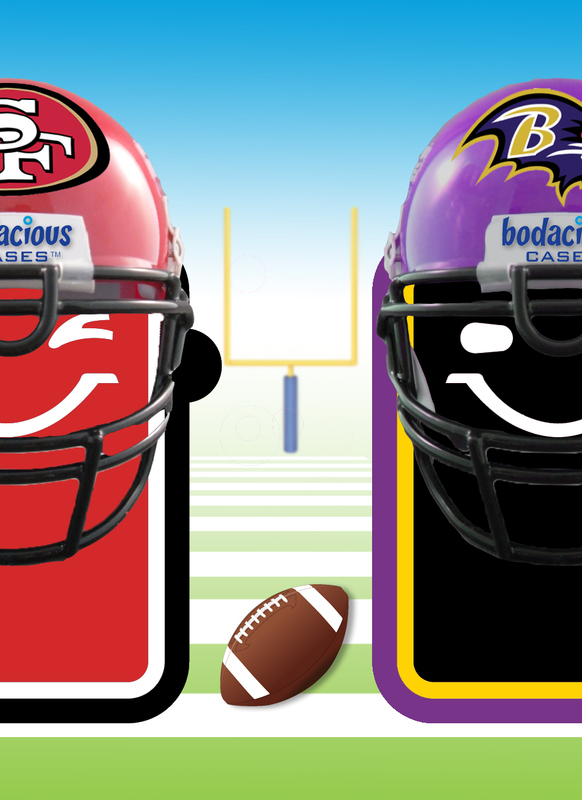 Visit www.bodaciouscases.com to see the wide variety of color combinations to match your favorite sports team!